MiniInTheBox offers millions of products at incredible wholesale prices. 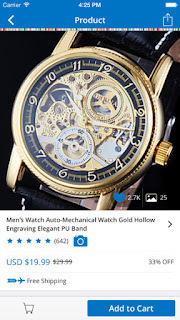 You can find a wide variety of cool gadgets, electronic accessories, watches and lifestyle products, with FREE Shipping to anywhere in the world. Over 10 million satisfied customers have found items that are 60-80% cheaper than what they should pay at their local store. Join us to start a fantastic journey! 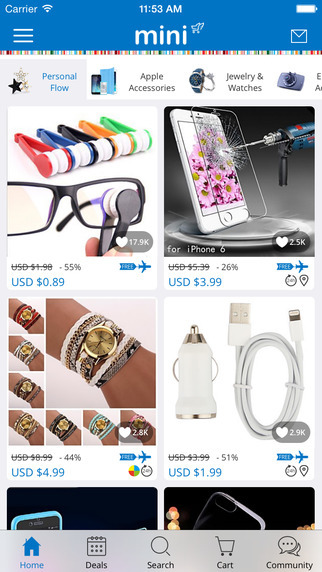 With the Mini app’s intuitive interface you can tap into our amazing line of products to purchase items on the go. • Check out the latest products and sales. • Add products to My Favorites on the go. • Read customer reviews for insights into products. • Get full access to your order history. • Pay for your purchases using PayPal, Credit or Debit Card, Western Union and Wire Transfer.